This entry was posted on November 22, 2013 by B4S. Clear Displays - all the Panasonic KX-UT phones have large LCD Displays which allow the user to intuitively access phone books and features. EHS - the majority of the series have a built in Electronic Hook Switch allowing the connection of Plantronics Wireless Headsets allowing for greater freedom of movement for telephone operatives. XML Compliancy - it is possible to load up business practices via xml to the KX-UT telephones to improve operability and integration with existing processes. Additional Features - All these models come with Phone Books, Call Logging, full duplex conferencing, 2.5mm headset ports, PoE ( Power Over Ethernet ) and wall mounting options. 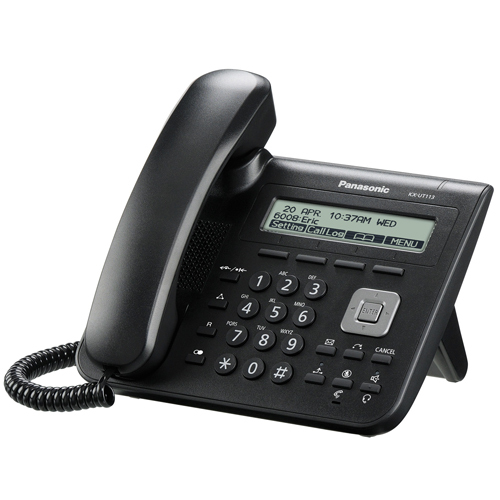 These are high end telephones, perfect for many business environments, the way in which many of these Panasonic System phones work make them very popular with both office and hotel use. 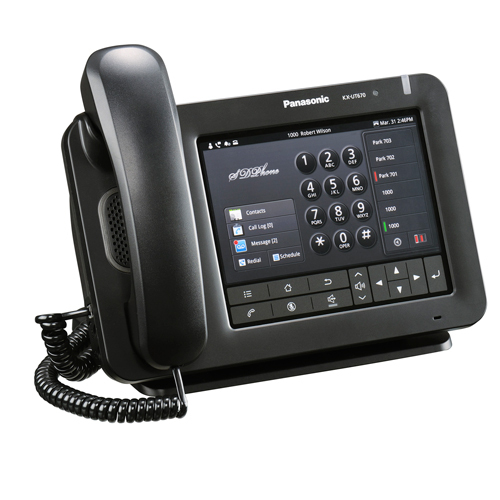 One of the most basic of the range is the Panasonic KX-UT123 SIP Telephone which has a decent sized LCD screen and 24 feature keys allowing for specific customisation for the user. The on board speakerphone allows a full duplex three way tele conference to take place which can make impromptu business meetings quick and easy to set up. The daddy of the series is the KX-UT670 VoIP Phone which runs on the Linux based operating system Android; which allows the installation of a host of applications and features. It boasts a large 7inch 262k colour touch screen, along with HD Video facility and a fully customisable interface.